This box is just the right size to hold a deck of popular fantasy playing cards that have protective plastic sleeves on them. Show up at a tournament with your deck in this box and they will know you are a serious player and that you have good taste! 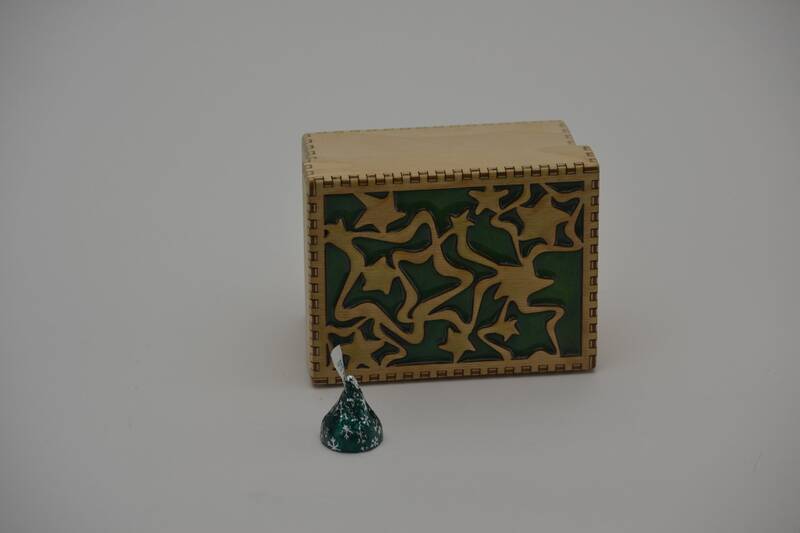 The inside dimensions of this box are 3 and 3/4 inches x 2 and 3/4 inches x 2 inches tall. 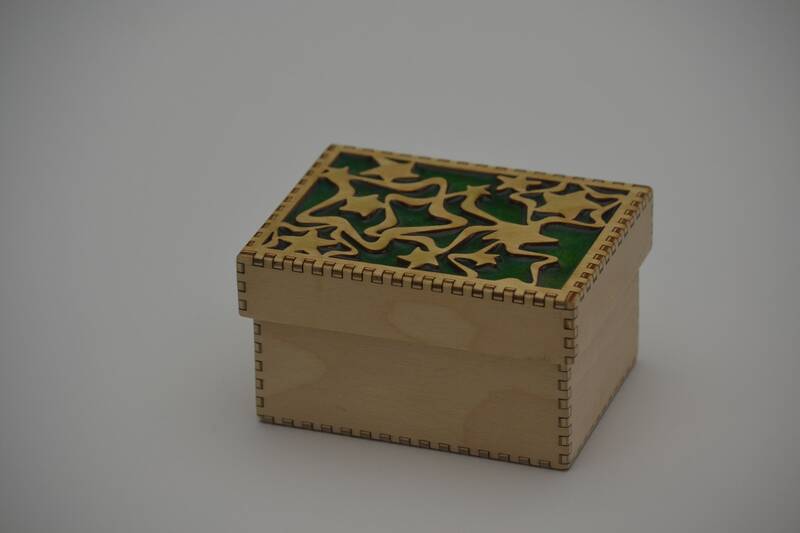 Laser cut and hand assembled from 1/8 inch Baltic birch plywood. 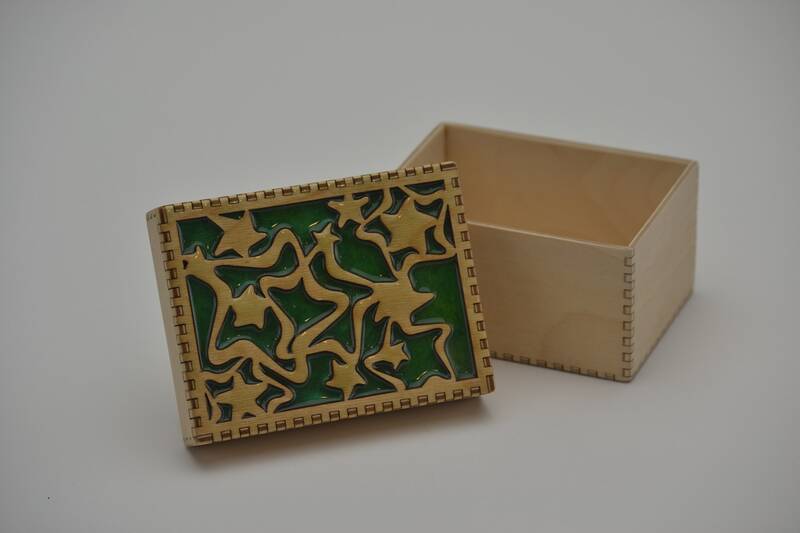 We have finished the box inside and out with durable polyurethane finish for years of tournament wins. 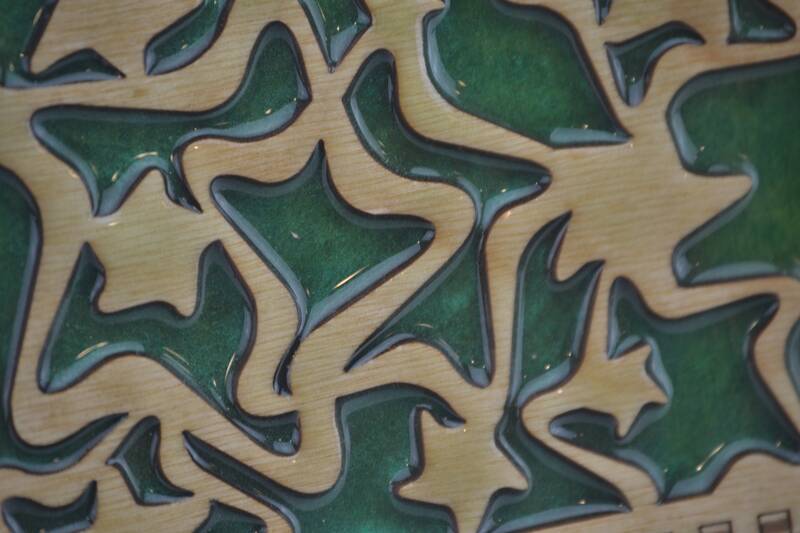 This box features a sparkly green resin finish on the top.